Why Safety Should Be Taken by Pilgrims at Jamaraat Bridge’? Why Safety Should Be Taken by Pilgrims at ‘Jamaraat Bridge’? Usually, we’ve heard of the stampede occurred at Makkah bridge so one might develop a fear when going to Hajj/Umrah for the first time. Jamaraat Bridge is a pedestrian walkway in Mina, Saudi Arabia where Muslims carry out the mandatory ritual of ‘Stoning of the Devil’. This bridge does have a history of bad crashes and events of stampede due to which it was marked as a ‘deadly point’ in past. It is very significant to know that history is full of Jamaraat incidents and there is some safety measure needs to be taken by each pilgrim. The bridge was first constructed in 1963 and pilgrims have been utilizing it by throwing a rock at pillars. The pillars are used to represent the Devil (Satan) with every year around 2 million Muslims show up to go through this rite. In 1997and 1998, the bridge was too narrow where many pilgrims were killed when the crowd gushed each other. The similar happening of stampede took place in 2004, were 251 pilgrims were killed and in 2005, the number increased to 362. In 2015, 700 people became the death victim ensuring no-pilgrim safety. To make certain, another squashing of crowds don’t take place; the new wall shaped pillars were built later. The Saudi authorities spent nearly $1.1bn which was a turning point as a new multi-level complex with 11entrances and 12 exits. Other pedestrian tunnels, emergency routes and escalators were also taken into consideration making a bridge widened to 80 meters. 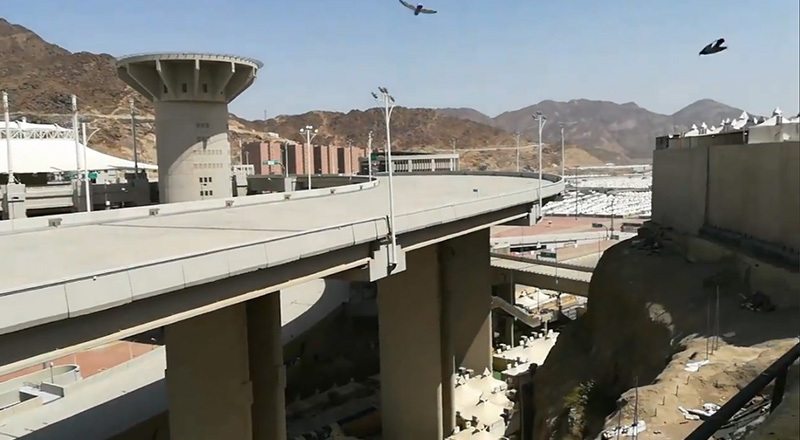 The overhaul of Jamaraat Bridge resulted in handling 300,000 pilgrims possessing a length of 950-metre. New Jamaraat bridge is divided into six levels leading to a smooth flow of crowd during the stoning. The barriers around the Jamaraat bridge are filled with compressed sponge. 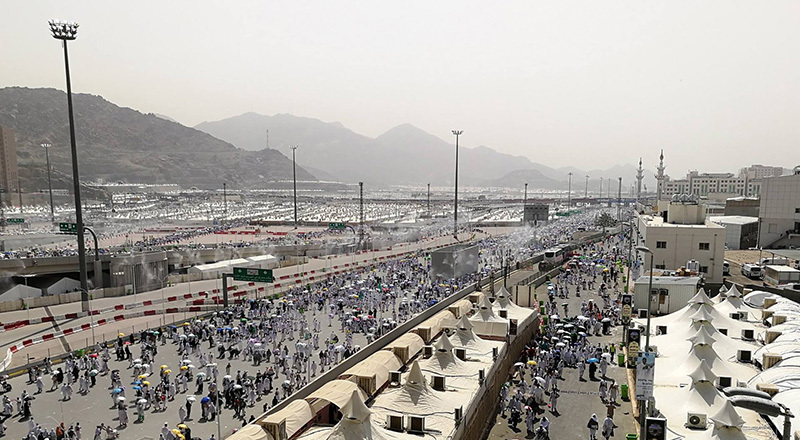 “The move aims at distributing the hundreds of thousands of pilgrims at various levels of the Jamaraat, depending upon the roads and streets they take to reach the place,” said Jalal Kaaki, spokesman of the authority, which oversees development of Makkah and the Holy Sites. Along what Kaaki stated, there’s a monitoring room inside where relevant departments keep an eye on pilgrims to reduce the danger. The first level is the basement which is assigned for official delegations and state guests. 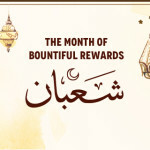 The second level is the ground floor that arrives at Jamaraat via Al-Jowhara Street No. 56 and Souk Al-Arab Street No. 62. The third level is the first floor for pilgrims on the pedestrian path No. 1 as well as street numbers 116, 204 and 206. The fourth level is the second floor for pilgrims who have been coming from Aziziya and back. 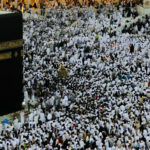 The fifth level is the third floor is allocated for pilgrims coming from Shuaibeen, Muaisem and Majral Kabsh. The sixth level concluded to the fourth floor is for pilgrims who arrive in Mina and King Abdul Aziz Road Bridge No. 38. This is why Dawn Travels ensures safety should be taken by pilgrims at Jamaraat Bridge to avoid constant crush and panic.